After earning immense success in RBI Grade B GK Digest, Team BankExamsToday has decided to take an intiative towards NABARD GRade A Exam. After adroit research, our team of faculty members and content creators has come up with GK Digest for NABARD Grade A exam. Comprising of all the important topics, this digest will help the aspirants to review and revise the important things in one file. 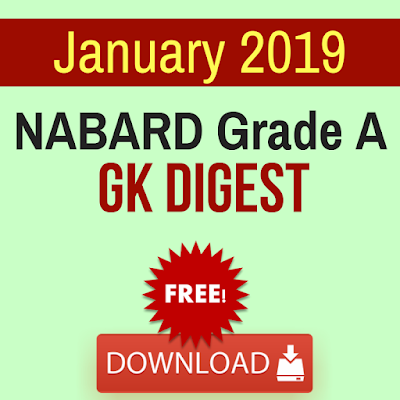 The NABARD Grade A GK Digest can be downloaded and printed as per the convenience of the learner.